After bidding farewell to his Aunt Lucy in darkest Peru, Paddington Bear sails off and eventually finds himself alone in Paddington Station. The label around his neck reads simply: "Please look after this bear. Thank You." When the Brown family takes him in, they get a lot more than they bargained for. 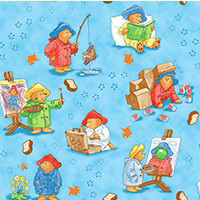 Paddington Brown: Paddington Brown is the little bear who always helps someone in need. When he's not doing that he's either eating marmalade sandwiches or setting off for another big great adventure. 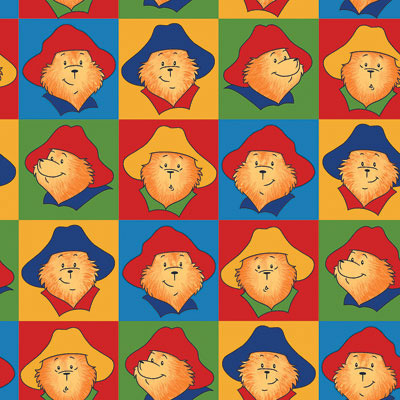 Paddington is the main character in this story and he sure loves being it too. 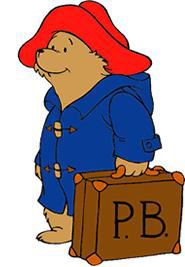 Aunt Lucy: Aunt Lucy is the only relative known of Paddington. Paddington always writes to his Aunt Lucy to tell her how his adventures are going. She loves to here from her little old nephew. Mr. Brown: Mr. Brown and Mrs. Brown are taking care of Paddington for now. They found Paddington in Paddington Station and they sure love him. Mr. Brown has a son and a daughter named Henry and Isabelle Brown. This is one loving family. Henry Brown: Henry Brown is the son of Mr. Brown and Mrs. Brown. Henry is a nice boy who likes to play with Paddington a lot. Henry is always very kind to Paddington because he likes his personality and they are temporary brothers. Isabelle Brown: Isabelle Brown is the daughter of Mr. Brown and Mrs. Brown. Isabelle is a nice girl who likes to play with Paddington a lot. Isabelle is always very kind to Paddington because she likes his personality and Paddington is a temporary brother do her. Mrs. Brown: Mrs. Brown and Mr. Brown are taking care of Paddington for now. They found Paddington in Paddington Station and they sure love him. Mrs. Brown has a son and daughter named Henry and Isabelle Brown. This is one loving family. Mr. Grubber: Mr. Grubber is one of the nicest guys in the whole entire world to Paddington. Mr. Grubber likes to do everything with Paddington because he really enjoys being with him. Mr. Grubber treats Paddington like a son. Mrs. Bird: Mrs. Bird is the elderly lady who lives in the same house as the Browns but they are not related in any way. Mrs. Bird cares a lot for Paddington since he has joined the family. She is one of the nicest ladies in this series. there he met the Browns and they took him home. Now a new life has begon he's Windsor Gardens favorite son. Caus he always does his best to help everyone. and always finds a way to land on his feet. looks at everything as if it's brand new. and he tries to do things right. 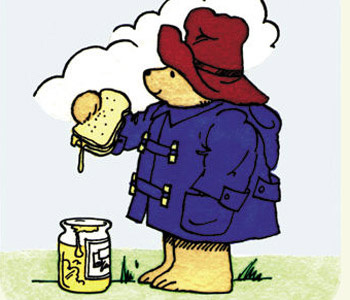 It's Paddington Bear he's one of a kind.